WHAT IS A NO KILL ANIMAL RESCUE? 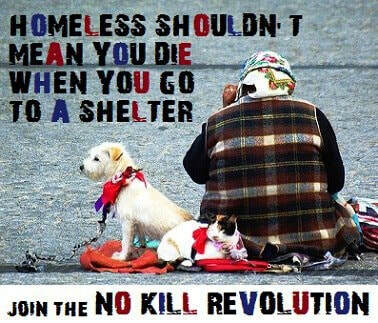 What does no kill mean to you? Most folks haven't really thought much about what it means. It is a common belief that it means absolutely no dogs are killed at a no kill shelter. But is that really what it means? NO dogs are killed for space (for the next dog). A dog can be killed if it has health problems. A dog can be killed if it has aggression problems. It is diagnosed with cancer? It is in the last stages of cancer? It is suffering from the cancer? It has any contagious health issue? It has a condition that will be expensive? It gives you a mean look? It fights with another dog? Those questions are answered by the person evaluating the dog. That person can be too "soft" and allow a dog in pain to go on suffering because they don't want it killed under any circumstances or that person can be too "hard" and say the dog is diagnosed with an life threatening illness so it needs to be put down now rather than later. One person can see a dog growling as an aggression issue that they don't want to deal with. Another person might think a dog that has bit them is an issue that be solved with training. The "rules" of no kill mean different things to different people. If you or someone you know is taking their dog to a shelter or rescue, ask questions. Are you a no kill rescue? What health issues would cause a dog to be killed? What aggression issues would cause a dog to be killed? Do you transfer dogs to kill shelters? What do you do with animals that you can't find homes for? ​It is wonderful to take your dog to a shelter or rescue if you can no longer care for your dog. Just be sure you know that the shelter or rescue has policies that meet your requirements and needs for you dog. If you are searching for a No Kill rescue, know what that means and be sure that is what you have found!